I love Nijo Castle. I visited the complex and explored the grounds in 2010. I am always on the lookout for more information to share with people. 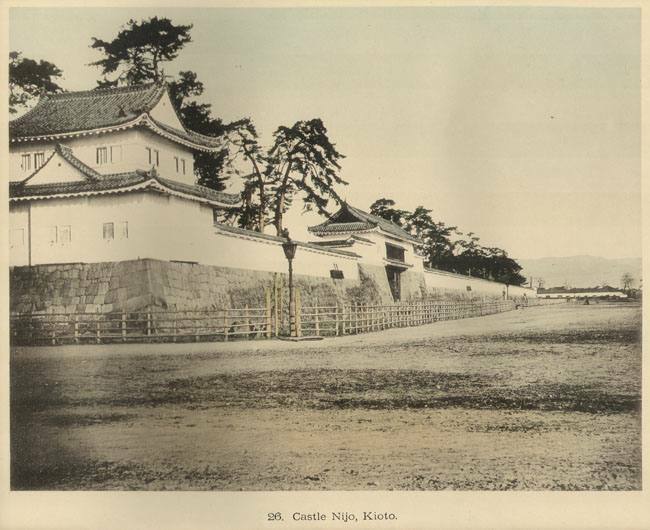 This is a plate photo taken in c1895 of Nijo Castle. The photographer captured the main entry gate (Higashi Otemon). Higashi meaning east. It looks to be the modern Horikawa and Oshikoji intersection, or the south eastern side of the complex. This is my picture taken of Higashi Otemon on Horikawa St. One noticeable difference is the addition of the moat which now encircles the whole complex. There are four gates accessing the complex however only two are used now. The gate on the western side and southern side of the complex are now cut off by the moat. A great then and now photo. 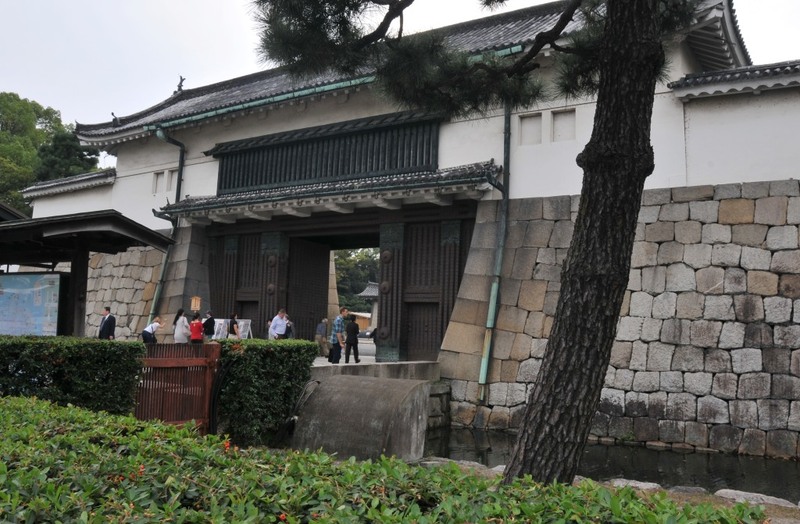 It’s crazy how different Nijo Castle looks! Especially the area around the castle. Now it’s all buses and busy streets. Yes, a lot has changed in Kyoto and most Japanese cities. It is brilliant to see these old structures today but, surrounded by modern buildings make them seem a little small. When you see the same structures as they were in the past you can really get a sense of how glorious they really are. I have a few more old Meiji period prints I will post soon with a then and now theme.